This is an unusual twist to the traditional coleslaw recipe. 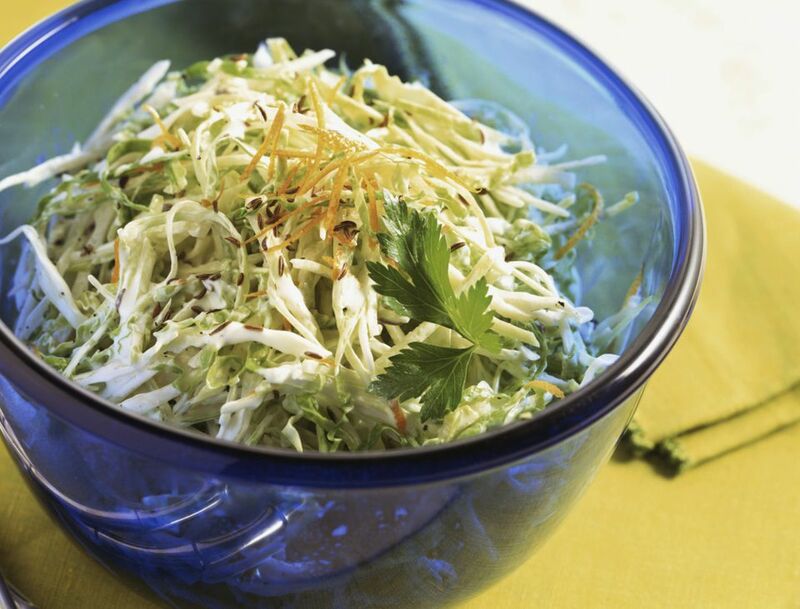 Cabbage is mixed with curry and other spices for a vegetarian and vegan salad. This recipe is also a raw, living foods recipe. In a large bowl, toss together all ingredients, making sure cabbage is evenly coated. If possible, chill for at least an hour and toss thoroughly again before serving. This will allow all the flavors to mingle and blend.